Kick off your visit on the 5th (Mon): get the lay of the land with Walking tours. On the 6th (Tue), you'll have a packed day of sightseeing: stroll the grounds of Granary Burying Ground, contemplate in the serene atmosphere at Old North Church & Historic Site, then take an in-depth tour of Salem Witch Museum, and finally contemplate the long history of Harvard University. To see ratings, photos, maps, and more tourist information, go to the Boston tour itinerary planner . Madrid, Spain to Boston is an approximately 10-hour combination of flight and bus. The time zone changes from Central European Time (CET) to Eastern Standard Time (EST), which is usually a -6 hour difference. Traveling from Madrid in November, things will get a bit cooler in Boston: highs are around 13°C and lows about 3°C. Finish up your sightseeing early on the 8th (Thu) so you can travel to Los Angeles. Milwaukee boasts well-preserved historical districts with a rich European past and a strong beer-brewing tradition. Start off your visit on the 8th (Thu): learn the secrets of beer at a beer tour and tasting, see the interesting displays at Harley-Davidson Museum, and then admire the masterpieces at Milwaukee Art Museum. On your second day here, meet the residents at Milwaukee County Zoo, admire all the interesting features of Miller Park, and then get to know the fascinating history of Riverwalk. To see other places to visit, photos, ratings, and more tourist information, you can read our Milwaukee route builder app . Traveling by combination of bus and flight from Boston to Milwaukee takes 5 hours. Alternatively, you can do a combination of bus and flight; or drive. The time zone difference when traveling from Boston to Milwaukee is minus 1 hour. While traveling from Boston, expect a bit cooler days and about the same nights in Milwaukee, ranging from highs of 9°C to lows of 0°C. Wrap up your sightseeing on the 10th (Sat) early enough to travel to San Francisco. Start off your visit on the 10th (Sat): take in the views from Golden Gate Bridge, head off the coast to Alcatraz Island, and then take a stroll through Fisherman's Wharf. On the 11th (Sun), you'll have a packed day of sightseeing: explore the engaging exhibits at Exploratorium and then tour the pleasant surroundings at Golden Gate Park. 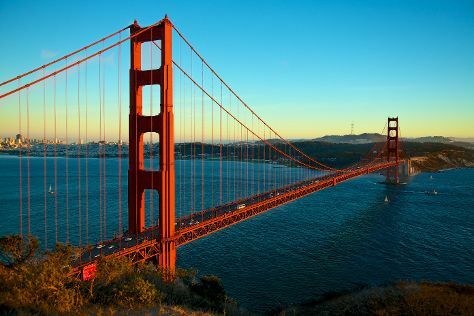 For maps, reviews, more things to do, and tourist information, you can read our San Francisco vacation planner. You can fly from Milwaukee to San Francisco in 6.5 hours. Other options are to do a combination of bus and flight; or drive. You'll gain 2 hours traveling from Milwaukee to San Francisco due to the time zone difference. Plan for somewhat warmer temperatures traveling from Milwaukee in November, with highs in San Francisco at 20°C and lows at 12°C. Cap off your sightseeing on the 12th (Mon) early enough to travel to Los Angeles. 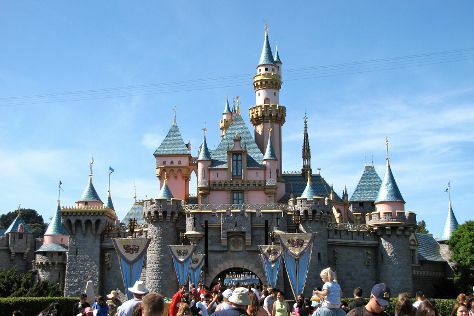 On the 12th (Mon), make an unforgettable trip to Disneyland Park. Get ready for a full day of sightseeing on the 13th (Tue): find something for the whole family at Universal Studios Hollywood. To see traveler tips and tourist information, go to the Los Angeles trip itinerary maker website . Traveling by combination of flight and train from San Francisco to Los Angeles takes 4.5 hours. Alternatively, you can do a combination of subway, flight, and train; or drive. Traveling from San Francisco in November, expect nights in Los Angeles to be about the same, around 15°C, while days are somewhat warmer, around 28°C. Cap off your sightseeing on the 14th (Wed) early enough to travel back home.